In a move that could have long-standing ramifications for the economy of Sun Valley and the surrounding area, the new owners of Elkhorn Resort closed the site’s 132-unit hotel and convention center Sunday and ended all guest services. The front doors of the hotel were secured Monday with a padlock and chain, and a sign in the window read: "Elkhorn employees only. The hotel is closed." Outside the hotel, only a handful of people—some employees of resort owner CG-Elkhorn—moved about the tranquil core of Elkhorn Village. While senior associates of CG-Elkhorn have in recent months repeatedly said they believed the resort could not succeed as a traditional hotel and must be razed to make way for condominiums and townhouses, some local business owners were lamenting the decision to close one of the Wood River Valley’s largest hotels. 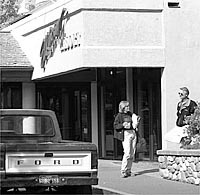 Todd Van Bramer, owner of Sun Valley Outfitters, was forced to close his sporting-gear rental and outfitting business adjacent to the Elkhorn Resort Plaza on Sept. 8. He said he had to close his operation after he learned that CG-Elkhorn planned to close the hotel—one of his primary sources for clientele—and assume control of his leased space for business offices. "It’s a sad, sad thing for the valley," Van Bramer said. "Elkhorn Village used to be a lively place that hosted a lot of visitors and events, and now this." Van Bramer said business was down this summer because of the soft economy, but noted that "the major effect came when (CG-Elkhorn) took it over and shut down their sales and marketing offices." CG-Elkhorn closed the resort as part of a schedule introduced last spring to shut down and raze the compound this fall to prepare the site for construction of 56 fractional-ownership condominiums and 38 townhouses, plus a restaurant and health-club facility. The initial phase of the demolition plan was denied in August by Sun Valley Planning and Zoning commissioners, and city planners are now awaiting an application from the developers that includes a detailed master plan of the entire project. Lisen Connery, communications manager for CG-Elkhorn, said last week that senior partners of the group are working to draft a new plan for the site to submit to Sun Valley’s community development director, Jack Cloud. "They are in the process right now of setting up ‘Plan B’," she said. "It should be presented in about a month and a half." 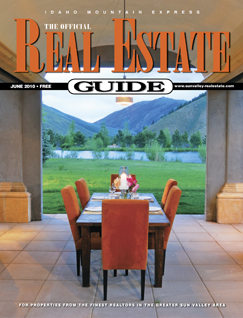 CG-Elkhorn is also in the process of transferring ownership of the Elkhorn golf course to Sun Valley Co.
Gary Busch, broker and partner for Sun Valley-Elkhorn Resort Realtors, said his business will maintain its location in Elkhorn Village. He noted that business has been swift in recent months, despite a confirmation from CG-Elkhorn that the hotel has been maintaining an occupancy rate of approximately 22 percent. "Our business has been strong. We’re enjoying a good summer," he said. "But we are concerned about the future. It’s hard to get clients to walk through an area that looks like a war zone (if the hotel is demolished)… When the hotel’s up and running, we’re going to do better." Busch said he believed some prospective buyers for Elkhorn properties are "waiting to see what happens," and that "concrete direction" in the redevelopment plan would help many interested parties make decisions. The closure of the hotel will not only have an impact on businesses in Elkhorn, but also will have an almost immediate effect on tax revenues for the city of Sun Valley. The city’s budget for the 2002-2003 fiscal year revealed that income from the city’s local-option tax was down this year, due in part to decreased occupancy at the resort. The outright closure of the resort will ensure that LOT revenues from Elkhorn businesses remain low until changes are made. The closure will also mean the loss of one of the city’s major convention sites, at a time when convention facilities in the Sun Valley Inn are closed for renovation. And while Elkhorn Resort has struggled to succeed as a hotel—operating under five owners in the past two decades—it did typically support dozens of employees, from front-desk staffers and chefs to housekeepers and landscapers. Monday, all but a few employees charged with managing the closure of the resort remained actively involved in operations at the site. As Van Bramer cleared the remaining inventory out of his outfitting store Friday, he recalled times when an outdoor ice rink in the village brought in scores of skaters in the winter and hosted numerous entertainment events in the summer, including the popular Jazz on the Green. "There were really no events this summer," he said. "There were still some people around, but to close down the hotel takes away too big a piece of the pie for a business like mine."